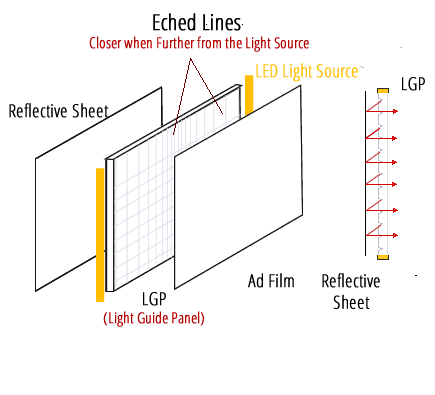 Our products use LGP (Light Guide Panel) technology with LED as light source. This technology enables us to build very slim ultra bright displays. LED lighting produces very little heat and does not reqiure large boxes for heat dispersion. We use very bright LED lights in our products. The brightness of our LED displays is more than comparable conventional displays.